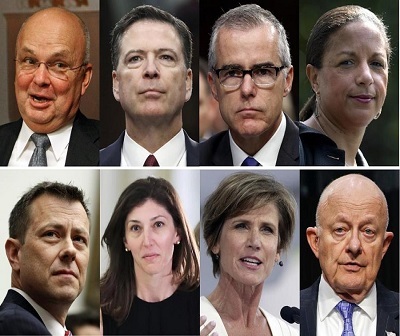 These officials should be arrested and tried for treason and corruption as a start: Michael Hayden, James Comey, Andrew McCabe, Susan Rice, Peter Strzok, Lisa Page, James Clapper. A public-interest, government watchdog group announced this week that its attorneys filed a federal lawsuit against the Office of the Director of National Intelligence (ODNI) demanding the disclosure of the details of a “private meeting within the Federal Bureau of Investigation (FBI) with regard to alleged lapses in U.S. national security” thanks to actions linked to former Secretary of State and presidential candidate Hillary Clinton’s “private” email system. 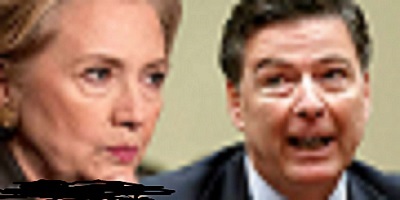 “No matter what the Mueller Report says about President Trump, the Russians and other unproven accusations, the fact is that the Clinton State Department and her presidential campaign continue to hide and cover up the shenanigans by the likes of Bill and Hillary Clinton, Barack Obama, Loretta Lynch, James Clapper, James Comey, John Brennan and a number of other ‘players’ from the Deep State,” said former police detective and intelligence operative Michael Snopes. “How about the Republicans starting to play hardball with the Democratic Party establishment who spent more than two years and millions of dollars harassing a legitimately elected Commander in Chief,” retired Det. Snopes added. The non-profit, public interest group, Judicial Watch, directed its team of attorneys and investigators — led by Chris Farrell, chief of investigations — to file this latest lawsuit after the ODNI failed to adequately respond to a July 13, 2018, Freedom of Information Act (FOIA) request (Judicial Watch Inc. vs Office of the Director of National Intelligence (No. 1:19-cv-00807)). Most of the information being sought by the organization is material in the ODNI accumulated by former President Obama’s intelligence minion James Clapper when he served as Director of National Intelligence, who had been caught lying to House and Senate panels a number of times yet paid no price for his deceits. 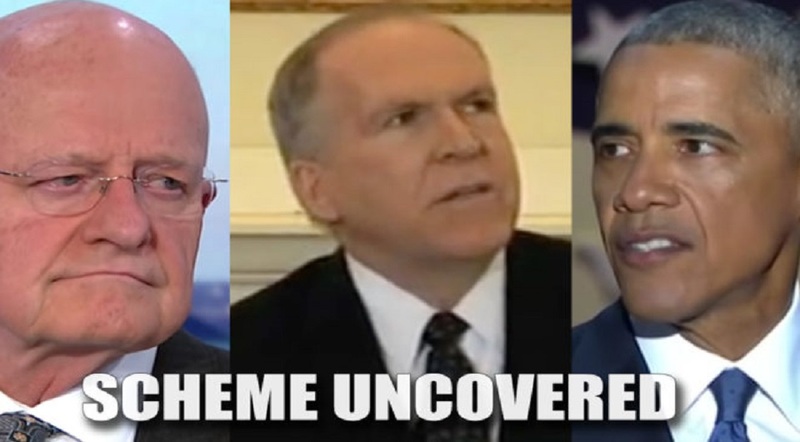 One of the hardest parts of the Spygate scandal is trying to get to the truth when all involved are confirmed liars. 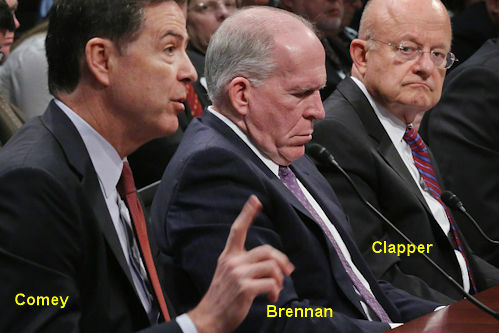 “Actually, rather than being charged by congress with perjury or having his case referred to the Justice Department for investigation, Clapper has been rewarded with a cushy job at the anti-Trump media outlets MSNBC/NBC News,” noted former NYPD police official Iris Aquino. “His Deep State partner, former CIA Director John Brennan was rewarded with a position with the once-highly rated Cable News Network (CNN) that squandered its credibility with the hiring of political hacks pretending to be journalists,” the former undercover cop added. Any and all related records of communication between any official, employee, or representative of the Intelligence Community Inspector General (ICIG) and any other individual or entity. For purposes of clarification, the meeting in question was referenced by Rep. Louis Gohmert during the testimony of the disgraceful Peter Strzok at a House of Representatives hearing on July 12, 2018. Gohmert said the ICIG presented the findings to Strzok, but that the FBI official failed to take any action based on the disturbing findings, including communications between Strzok and his FBI attorney paramour. Judicial Watch had a separate lawsuit against the ODNI that would have required it to conduct, as required by law, an assessment and prepare a report on how and whether Hillary Rodham Clinton’s email practices as U.S. Secretary of State damaged national security. Judicial Watch received 47 pages of records from the DOJ, including email exchanges between fired FBI official Peter Strzok and FBI attorney Lisa Page, revealing that FBI officials used unsecure devices in discussing how the U.S. could improve the sharing of sensitive data with the European Union top executive governing commission. Strzok was removed from Special Counsel Robert Mueller’s investigation and fired from the FBI after his bias against President Trump was revealed.